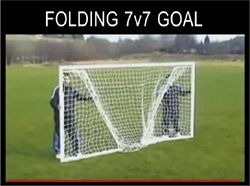 Folding football goals video - 12'x6' goal post. Football Goal delivery times may vary on welded aluminum goals as they are made to order. You may prefer to call the goal line 0114 242 4244 to check details prior to ordering if you have a specific date in mind. 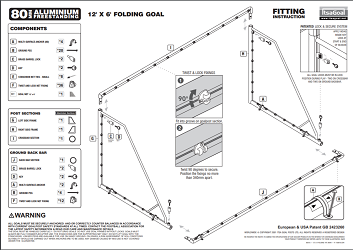 Click on the image to download the Folding Football Goals fitting instructions. 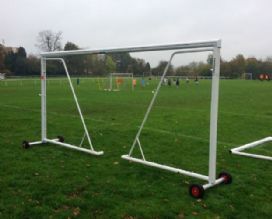 Folding football goals - full size - being moved - this video shows the much larger full size goals being moved using the option goalpost transporters. This goal post is a European & USA Patent GB 2423260 and a Registered Design 5000197 5000198 5000199.